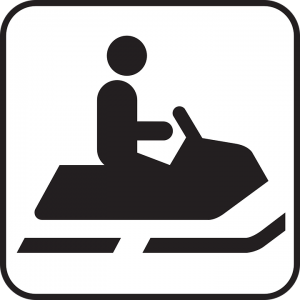 If you're preparing to ride your snowmobile after it's been stored away during the hotter months, read this post by Superior Synthetics, LLC in Clintonville to know what to do. Call Superior Synthetics LLC at (715) 823-6525 to purchase top performing products that will keep your snowmobile good as new. First and foremost, you need to realize that while your snowmobile is fun, it's still a complex and dangerous machine that you need to treat with care and respect. For that reason, before you even think about riding it, you need to grab your owner's manual and give it a thorough read. This will remind you how to operate the vehicle safely. Plus, it may share tips on how to use it after it's been in disuse. The next step is making sure that your snowmobile is clean enough to be ridden once more. As you may be aware, you should never store a dirty snowmobile, since the filth and gunk can affect its performance and lifespan. Still, you're expected to find dust over it after it's been inactive for months. Get the snowmobile completely clean before you start riding again. While you're going through it, be sure to check the exhaust pipe to see if there are any animals and bugs in there. In case you didn't already know, the fuel in your snowmobile can become stale and useless after the vehicle has been put away for months and months. This means that if you start riding your snowmobile on it, its components may get severely damaged. That's why, if you didn't use a fuel stabilizer before storing it away, you will need to empty the gas tank and fill it up with new gas. It's also a good idea to check if the fuel system is in good shape. Just like any other powerful vehicle that uses an engine, your snowmobile needs synthetic oil in order to perform strong, powerful, and effective for a lot longer. Still, the oil can also be affected by the long idle periods. To keep your rides this season smooth, thrilling, and safe, make sure to replace the synthetic oil before you hit the snow. Keep the engine in mint condition with Formula 4-Stroke Power Sports Synthetic Motor Oil, the best synthetic oil in Clintonville. Of course, the synthetic oil is probably the most important fluid for your snowmobile's functioning. Nonetheless, it's not the only one it needs to work properly. Moreover, it's not the only one you should pay attention to. There's also the injection oil, the coolant, the chain case oil, the brake fluid, and more, and you need to be mindful of all of them. Inspect them and make sure they're in proper condition before you start riding again. You may think that, since your snowmobile was in stand-by for a few months, that all of its components should be just as you left them. However, you could be wrong, since some of them could have endured damage while in storage. Take a quick look at the spark plug, filters, tracks, skies, clutch, shocks, lights, belt, and other components to verify that they'll be able to ride with you. If something is off, fix it before riding. Your riding gear is crucial to keep you safe in case of an accident. Moreover, it keeps you warm through the cold weather you'll be riding in. To make sure that your riding gear will still be able to provide these protections, you need to inspect it before you hop on your snowmobile. Check the gloves, helmet, jacket, and goggles and verify that they're in good shape. Even if your snowmobile has passed all of the inspections mentioned above with flying colors, you still need to test drive it in a safe spot before you start going off into the more dangerous terrain. During your short test drive, notice if there's anything off going on with it. This is your chance to guarantee that everything will be as expected when you ride, so don't waste it. Lastly, it's a good idea to visit a professional mechanic, so they can assess your snowmobile's condition, and to provide the fine-tuning it may need to perform good as new. Call Superior Synthetics LLC at (715) 823-6525 or browse AMSOIL's online shop to place an order for the best products, including the most effective synthetic oil in Clintonville.